Fridays Rock- when Rocks fly to me! And here it is with the marvelous ravens who delivered it! Thank you @shasta! You made my day! 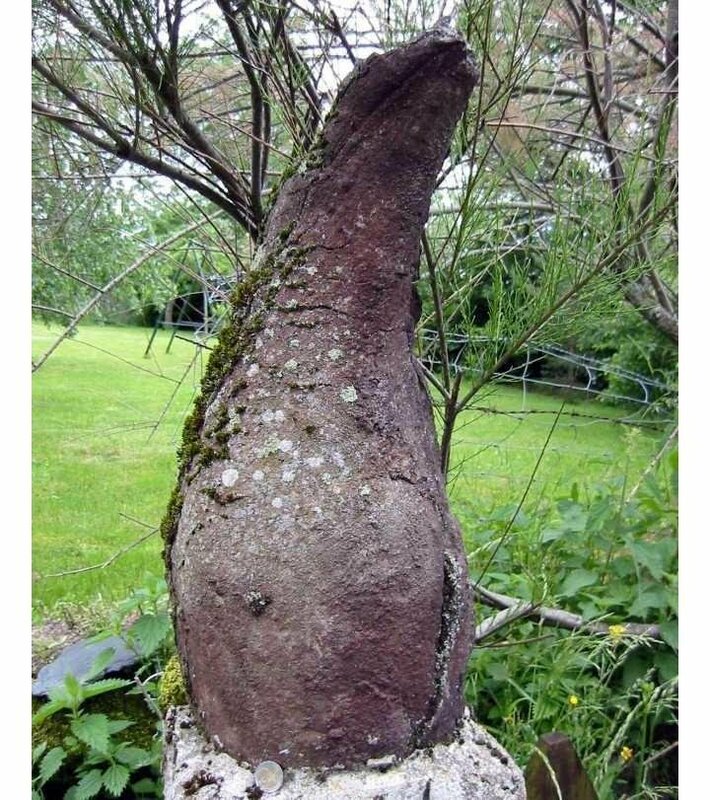 When I first read her post I was reminded of a photo that I took when I was in France of a different flying rock. 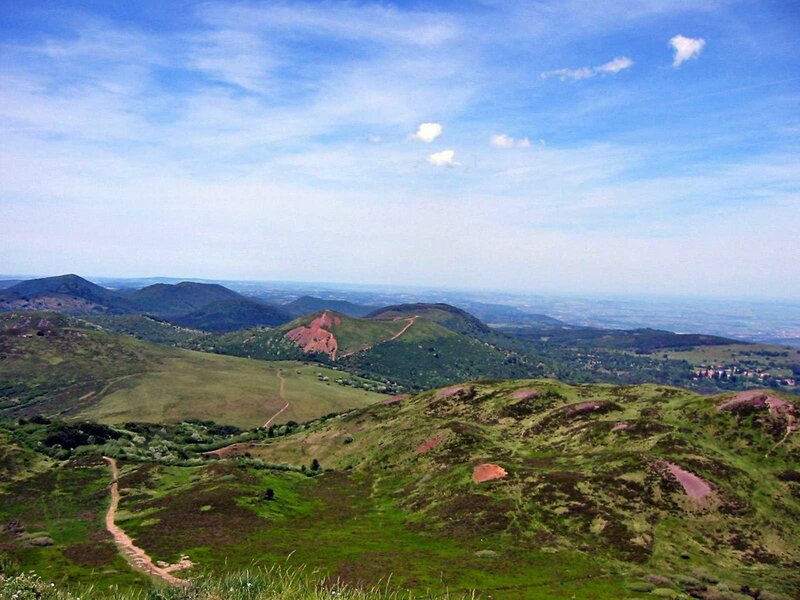 This was found in the Massif Central region of France. 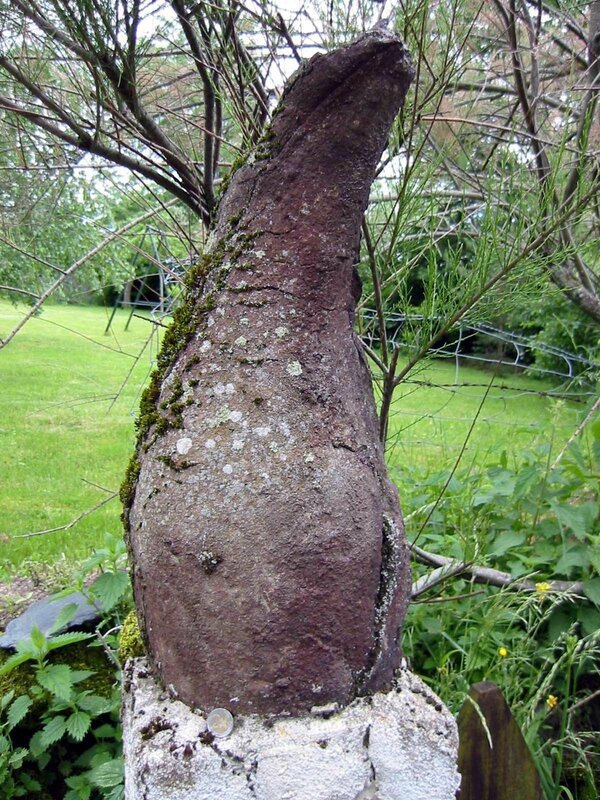 This volcanic bomb was hurled from one of the 80 volcanoes in the Chaine des Puy. Volcanic bombs are lava that is thrown up into the air and then cools quickly. They are often tear drop shaped, like this one. 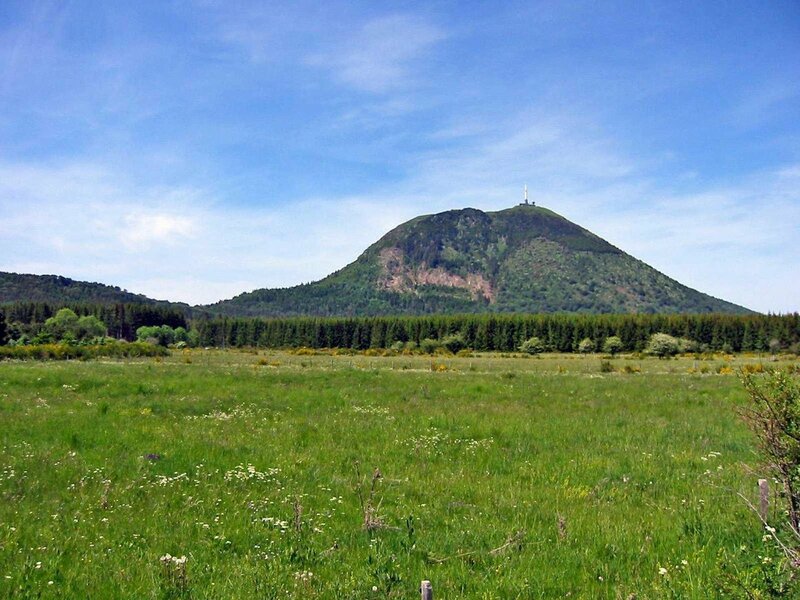 The most iconic of the volcanoes is Puy De Dome. It is a lava dome that last erupted 10,700 years ago. The #fridaysrock tag was created by @nat-expressions as a place for those of us who enjoy rocks and minerals to share what we love. Please feel free to join in...on any day of the week. You are so very welcome 💕 @melinda010100!! I love these ravens so much! I have the perfect frame for for the artwork and my kitchen is red so the other piece will be perfect in there! That rock is definitely the most beautiful thing and instantly became a treasure! You are wonderful. It is a coin at the base of that hunk of lava. I'm glad I wasn't around when those were raining down! Was meant to be the color of the potholder! My daughter brought the package in and she was laughing at me struggling to cut through the tape. So I passed the package over to her and then I got to laugh while she struggled with the tape! Well, it was a success! Unique rocks photography and other views are superb. Very extraordinary rock that flew in the air and dropped on the ground. That raven cloth is so sweet! Rocks and ravens fly by together! They are two of my favorite things! I coveted a 'flower stone' too and now I am lucky enough to have one of my very own thanks to @shasta! 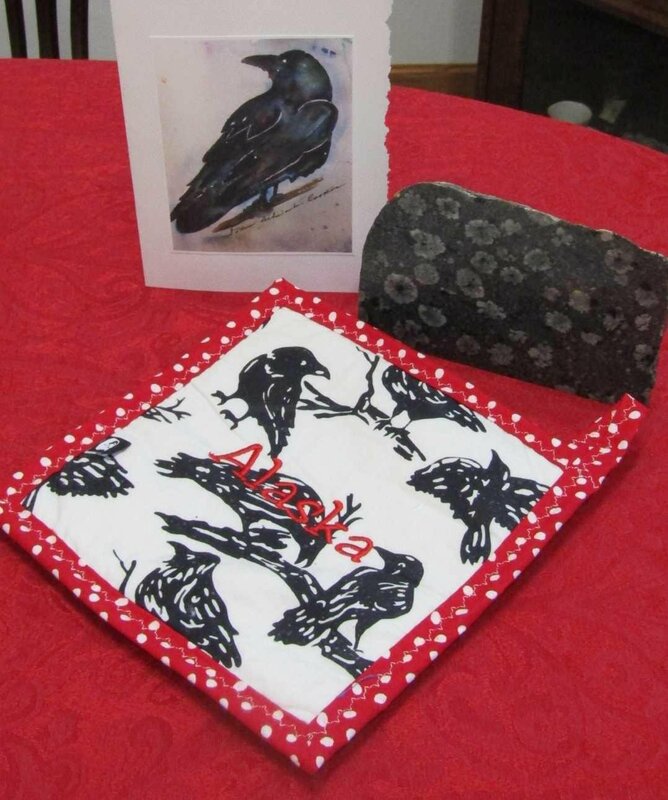 It was such a wonderful surprise to receive that beautiful rock and these delightful ravens from @shasta! Rocks and Ravens! Two of my favorite things! Thanks! The lava was an ornament in the garden of a gite we were staying at. Howdy there Melinda! that's totally amazing and wonderful of shasta! lol. such great people here! I am beyond thrilled! It is such a delightful gift! She even included some tourist guides to her area. she lives in such an amazing place! That is so nice. I might have to change my opinion of Alaskans now. lol...just teasing. But if you were still traveling you would for sure schedule Alaska in wouldn't you? I have always wanted to go there, but it is such a ridiculous long drive from here. It was hard to find the time for a trip like that, and now that I have plenty of time I'm just not up to do that kind of traveling anymore. I do wish I would have just jumped on a plane and rented a vehicle once I got up there, but hindsight is 20/20 and all that. Howdy again Melinda...so you're saying that you never made it to Alaska? Well I guess very few people have. It's kind of a hassle getting there like you said! So many people take cruises up there, but that is not my kind of travel. Now I'm pretty content to do my traveling vicariously here on Steem. yes, that's the kind of traveling I'm doing too! lol. doesn't take a big budget! That is very true! My travel budget has become non-existent! Thank you! The rock is so smooth! It is lovely to touch. Hi my friend. Today my eyes are very amazed to see the flying stone where it displays the beautiful chrysanthemum found in Alaska. this is really beautiful. It must be horrible to be near an exploding volcano. It is a super gift, isn't it? It is so wonderful to make friends here who have similar interests to mine! I often send out gifts to Steem friends in Venezuela, but I think this is the first gift I have ever actually received!. It was actually rather thrilling! Being that it probably flew over 10,000 years ago there probably were not any houses nearby! 🙄But I can't imagine what it must be like to be near an exploding volcano! There are no volcanos here on the prairie where I am. I'm good with that. Hahaha! There is another major winter storm moving in tonight they're saying 6 to 9 inches of new snow. I can't wait for May! Howdy Melinda! I forgot to tell you that I've never heard of those volcanic bombs before! Those are awesome. Also, what is this about League tokens? what are those? Asher did a post about creating a token that he is calling an engagement token. Hopefully he will hand some out as prizes so that we can see how Tokens work! I had never heard of volcanic bombs either until I saw this one, but I suppose it makes sense that when a volcano explodes it throws lava up into the air but then hardens and falls like deadly rain drops from the sky! 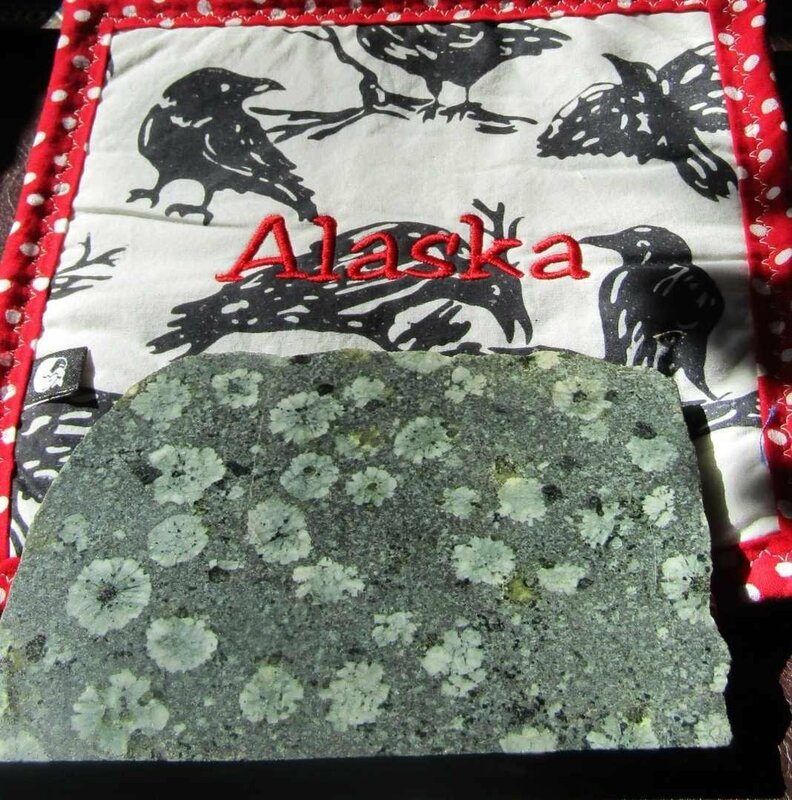 The Alaska rock and ravens are intetesting. The flying rock a little scary and I enjoyed everyone's comments! I'm so glad you stopped by, too! And I'm really glad you added your kind comment to the post. I'll be over to check out your posts! Glad you like them @hananali!